As we know power grids are not 100% reliable all the time. It happens so that sometime it’s out and all your power appliances are off. This is more a problem as there are certain appliances that are extremely important, e.g. the refrigerator. Food can quickly spoil as hours on end the power is out. It’s even harder with kids, since they want to use their computers, play games, watch TV, etc. You can face various problems and difficulties throughout your day without access to electricity. This is why generators are getting more and more popularity and it totally makes sense to get one at home. There are two types of generators – stationary (a.k.a. standby) and portable. Standby generators can power your entire house, whereas the portable generators can power one appliance at a time. The latter can be costly but totally worth the price. It ranges from $500 to $1500 depending on several factors. Of course, standby generators are many times more expensive. This is why portable ones are far more accessible and preferred among clients. Our advice is to first make a list of the appliances that you can’t go without for more than several hours. Then count the wattage of each appliance from your list. Overall one household would require about 10000 watts in order to power all the appliances. An aside note – if one (or more) of the appliances doesn’t state wattage, you can calculate it differently – multiply amps by volts. This is assuming that at least these two are stated on the label. 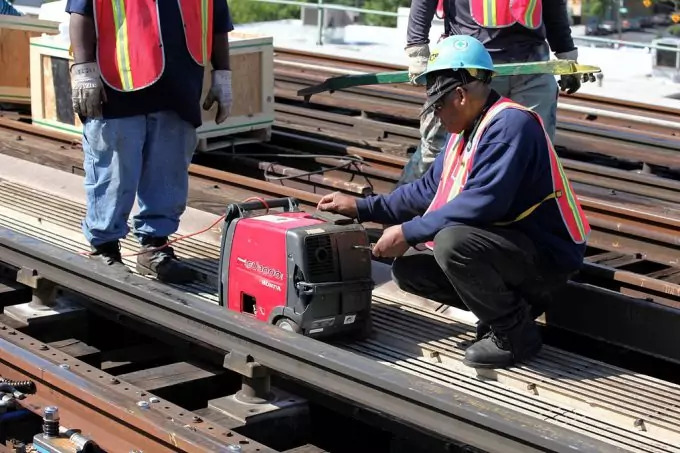 Of course the usual wattage a portable generator can generate and operate properly is around 5000 watts. These are the most preferred and often bought by families and large houses. They can power most of the important appliances in the house, which is what people usually look for. When you determine the need for all your appliances, it’s time to spend some time on getting to know exactly which generator would suit your needs the best. Here are some criteria you can use to narrow down your choice. When it comes to power, generators have two ratings that must be considered. One is called running wattage, and the other – surge wattage. The first represents the power the generator needs for continuously running. On the other hand, surge wattage is the power that is generated upon turning on an appliance with a motor. It is then that the generator creates several times more power for no more than 10 seconds. The general rule-of-thumb is that whenever you start the switch and turn on the electricity that requires 3-4 times more power than the appliance originally consumes. So, keep that in mind, and switch on appliances only a few times during power outage, in order to preserve some power from your generator. 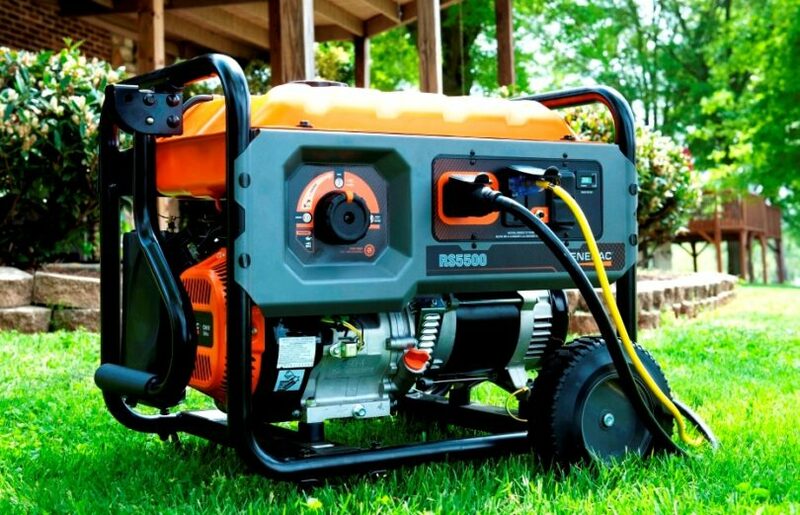 You also need to know that most portable generators use gasoline (and have gas engines) or propane. Sometimes, generators may use both, depending on the manufacturer. Propane is a much better option since it’s cheaper and produces less toxic gases. 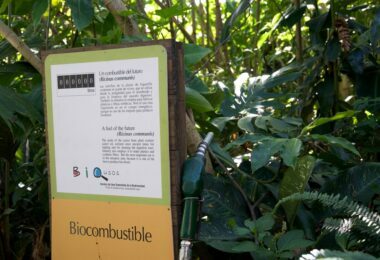 Also, it can be stored for very long periods of time, since it doesn’t go bad or degrade (whereas gasoline does degrade quickly and needs to be used within short time). As for how much a generator burns, that can vary but overall, it can burn half a gallon for one hour of continuous use. So, in order to get the best from your generator, you should better opt for one with larger fuel capacity. For example, a 16-gallon gas tank can last at least 10 hours on end. Of course, there are generators with much smaller capacity and these generators can work for only a few hours. If you get that, you should know that you may have to get up at night to fuel the tank again and again. 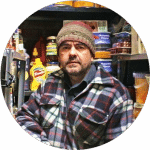 If you don’t feel like doing this, we have a series of great tutorials on how to build your own electric generator with things you have laying around. This category is importance since working with electricity can be quite dangerous and you need to be constantly alert. Of course, most generators come with some safety measures built-in, e.g. circuit breakers, spark arrestors, grounding, etc. Still, the most important feature is the GFCI or ground-fault circuit interrupter. This means that there is a method that always looks after alteration between the current that goes back and forth from the generator to your appliances, and vice versa. Then, if the measured current is lower than last measured, this would mean that the current has found another path into the earth. This means that there is potential risk for electrocution and the generator stops working in order to protect you. 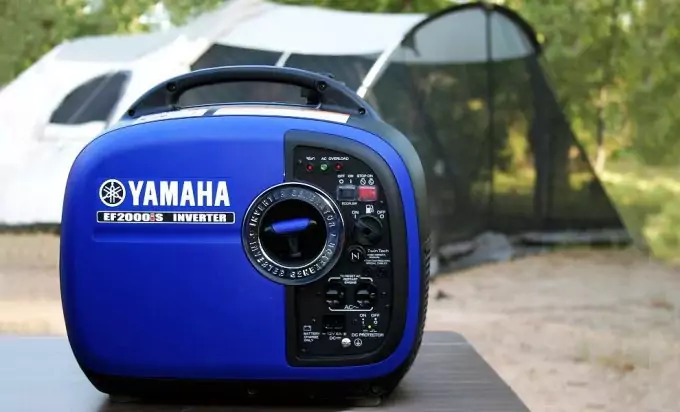 This feature, as we said, is one of the most important ones and you need to consider it when you go looking for a portable generator. Another less important, but nonetheless noteworthy, thing to consider is the noise. As generators operate thanks to motors, this would mean that they are like cars, and they generate a lot of noise. This may disturb the neighbors and can prevent you from communicating with others while you’re nearby the generator. Of course, there isn’t much you can do about that, but you need to be aware of it. Control panel and its features. This is where all the cables and switches are situated. Usually generators have 4 plugs and a 120/240-volt AC outlet, which is useful for larger appliances. Another useful thing on most modern generators is that they have only a switch or a button to push in order to start the engine. This is great since you don’t have to struggle any more with the old-fashioned recoil ignition. 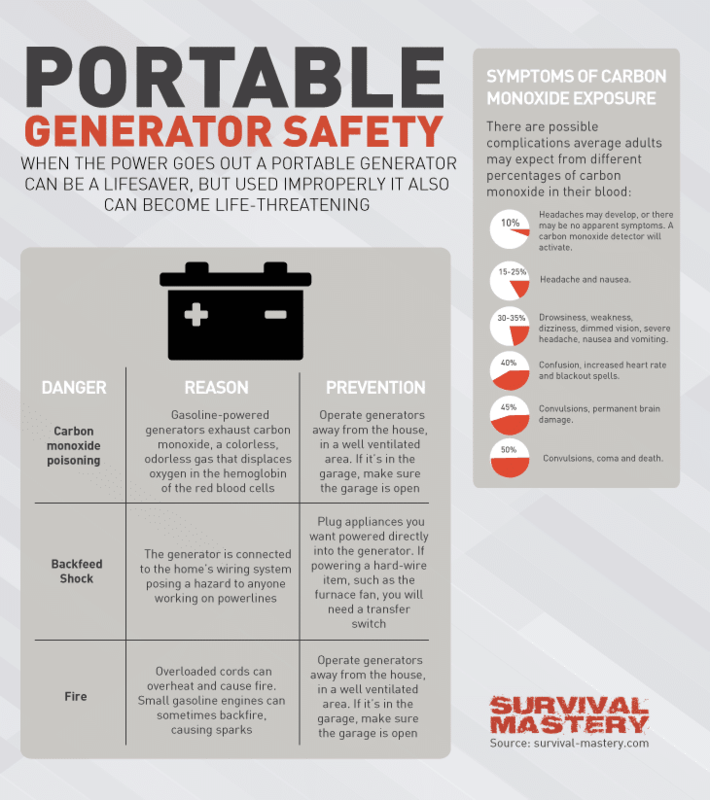 We advise you to get a portable generator that has a recoil ignition option. This can be very handy if the generator’s battery is down – the button or switch won’t work then. 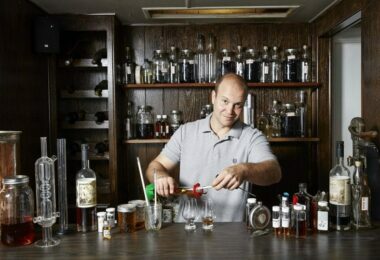 So, the old-fashioned way will help you start the engine. On the topic of cables, you may want to use heavy-duty exterior extension cords (don’t use homemade extension cords or you risk electric shock and even fire). You need to know your generator’s capacity and not plug in too many appliances at the same time, without having taken note on them. As generators have no more than 4 plugs you may have to use extension cord. It must be at least 14 gauge to send adequate power and electricity to your house. Take note on the cord’s own capacity and follow its instructions. You can plug in the cables and cords when you have already started the generator. Some of the best portable generators on the market also have odometers which register all changes, measurements, etc. and can be very helpful when you need the generator serviced. Another thing to keep in mind is to keep the generator at least 10 feet away from your home. This is a precautionary measure to avoid carbon monoxide poisoning. Also, don’t keep it close to doors or windows, as the poisonous gas can enter the house. 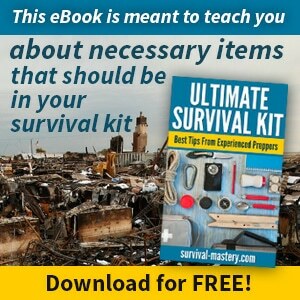 It is estimated that most people die from the gas rather than from the nature disasters causing power outage. A good idea is to keep a detector specifically for carbon monoxide and keep it always with freshly charged batteries. These detectors will alert you when there’s carbon monoxide detected in your house. And another tip from us – get a generator on wheels. They are very heavy and can hardly be carried. So, even if that’s slightly more expensive, don’t hesitate to get one on wheels. There are 3 types of portable generators and this classification is based on the purposes of the generator. For example, household portable generators are called ’emergency’ generators, as they are often in power outage situations, disasters, etc. These ’emergency’ generators are what we talked about so far and they are most popular among families. The second type is the ‘professional’. These generators are used on construction areas and are much more reliable and are suited to be exposed to the weather, whatever it is. Otherwise, they are very similar to the ’emergency’ type. The last type is the ‘recreational’. These are much smaller, lighter and of course generate lower wattage – around 1000-2000 watts. They are very useful when you go camping, as they can provide you with several hours of electricity. They are quite handy if you have kids – they can hardly stay without TV or their computers. If you want to know more about these generators, take a look at our reviews here. This list is based on customer reviews and preference among clients. We’ll point out all the details for the following generator brands and models. We’ll discuss them according to the categories you need to consider, as most of them were explained above. This one is low in wattage – 4000 watts with running wattage (continuous) can settle at 3300 watts. It can power your refrigerator, microwave and maybe even a few more appliances which may be critically important during an emergency. This generator can also be great for recreational purposes. When it comes to its portability, it’s fairly light with its 94 pounds. The only problem is that it doesn’t come with wheels (although they can be bought separately). There’s no starter switch or button and you have to use the recoil for starting. Nonetheless, based on surveys the recoil is very easy to use, so it’s of little concern. The generator has 4 gallons of capacity. In half load, it can work for 8 hours on end. But don’t think that this means it can run for 4 hours on full load. When a machine is pushed to its limits it uses more power which means that at full load it may not reach the 4-hour benchmark. The price is fairly nice. Ranging from about $300 up to $500. 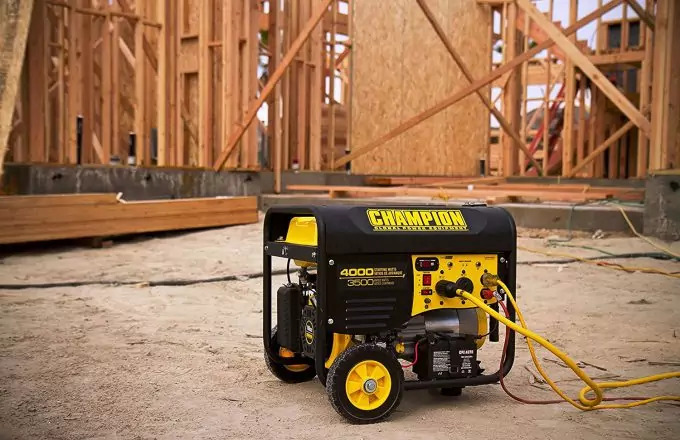 Very few people have reported long-term issues and damages, so it’s basically a tough and durable small portable generator, and a great option for short-term power outages. This generator can be compared to the DuroStar, since it also has a limit of 4000 watts. The only difference is that the running wattage output is slightly higher than DuroStar – this one is measured at 3500 watts. This means – a few more lights here and there in the house and maybe one additional laptop or computer plugged in. Next, it’s not much heavier than the DuroStar. It weighs 104 pounds. The difference though is that it comes both with handles and wheels, which is great. It has a power switch and also can be turned on and off with a remote control. Of course, if the battery is gone, you can start the generator manually. The noise is not much of a concern. It’s estimated at 68 decibels (DuroStar is at 69). In addition to all these, there is the possibility of reading the voltage, which can give control over the power use. You can also see how much hours you have left with the current use of electricity and load. What’s really great compared to DuroStar is that at half load Champion can work up to 12 hours. That’s a significant difference. And on top of that, the tank is virtually the same volume – 3.8 gallons. This means – less often refueling. Also, at the same half load, Champion can generate up to 100 watts more than DuroStar. Overall, the Champion engine is much more efficient. As for price – it can be slightly more expensive, but it has all the needed features the DuroStar lacks (wheels, handles, readings, switch, more power and duration). It ranges from $535 (on discount or promotions) up to %599. It has all the needed certifications (EPA and CARB). And finally, it has a two-year warranty, in comparison to the one-year warranty with DuroStar. This one is much more powerful than the above two. It can generate up to 9000 watts of power at surge output and has a constant output at 7500 watts. This can correspond to running almost all your kitchen appliances, lights around the house and a TV-set. It also comes with a voltage regulator which measures electricity fluctuations and don’t let devices or appliances stall just because another one has been added to the circuitry. When it comes to weight, it’s double the weight of a Champion generator – 210 pounds. Of course, with this weight is has handles and wheels. Also it has that power switch which Champion has, although not the remote variant. You can also guess that it has the ignition recoil function in case the battery is down. It also has a monitor where you can take note of the time remaining. When it comes to the motor – it’s very powerful (420cc). You may think that such a powerful engine can’t be as efficient in use as the above two, but you will be wrong in assuming this. It has a 6.6 gallon and yet it can run for up to 13 hours on half load, which is pretty impressive. Well, for all these great features and power you should rightfully expect a price curve. The lower price is $859, which is currently available on the market. The price can reach up to a thousand dollars. The generator comes with 3-year warranty. For that price you also get significantly lower noise, thanks to Pulse-Flo technology. This generator has a continuous running output at about 7000 watts and can handle about 25% of increase (the surge output). so, basically this generator is at the same league of the Westinghouse engine. These two currently are among the best generators on the market and many users were extremely pleased with the power and durability. It’s heavier than Westinghouse (30 pounds more than Westinghouse), and yet it has wheels that never go flat. It’s also surprisingly easy to use and maneuver. It’s as easy to start as the above two – it has a handy switch just like a car. It has also a reading screen where you see all the data you need to know. Impressive enough – there are rubber covers on the plugs which protect the machine from dust, particles and moisture. The motor is at the same power category as the Westinghouse engine. The only difference with Westinghouse is for the slightly larger tank (7.5 gallon) volume it can work less on half load – about 10 hours, which really is less efficient than Westinghouse. The price is high again – $1099, but currently it sells for $899. Of course we have to point out that Briggs & Stratton is a reliable brand and is linked to high quality and durability of their products. Many users claim that everything they bought from this brand remains good for many years. This may save you a lot of money. This model is really low in the power curve, especially after we reviewed the Westinghouse and Briggs & Stratton models, but there is still some merit to be given to this relatively small generator. Its surging output reaches 2000, while at a continuous run it produces 1600 watts. It weighs the impressive 44 pounds and thus is the most portable and mobile of all the above. It doesn’t need wheels since this isn’t an unbearable weight. It has a nice and comfortable handle for moving purposes. It has a normal power switch, just like the others, including a DC outlet for battery charging. 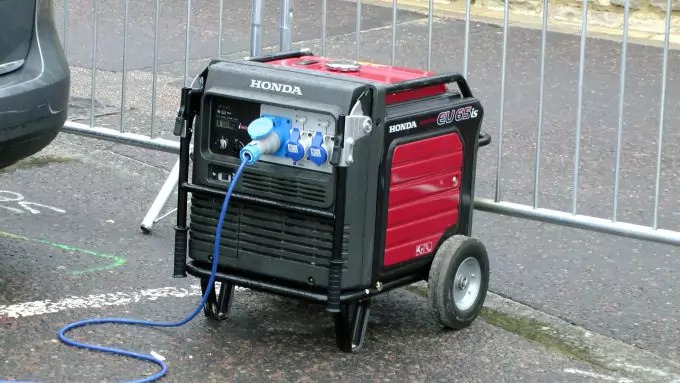 The generator has a very small tank volume – 1.1 gallons. And here comes the impressive part – it can run for up to 10 hours on half load. Yamaha call this economy mode’. This means that this generator is the most efficient (even for the lower power it generates) than all the above four. The only down side is that it’s quite pricy – $989 to $1099. Yet you get a lot of benefits – low weight, long hours of power generated, lower noise levels and great portability. If you can afford the price you won’t regret this choice. 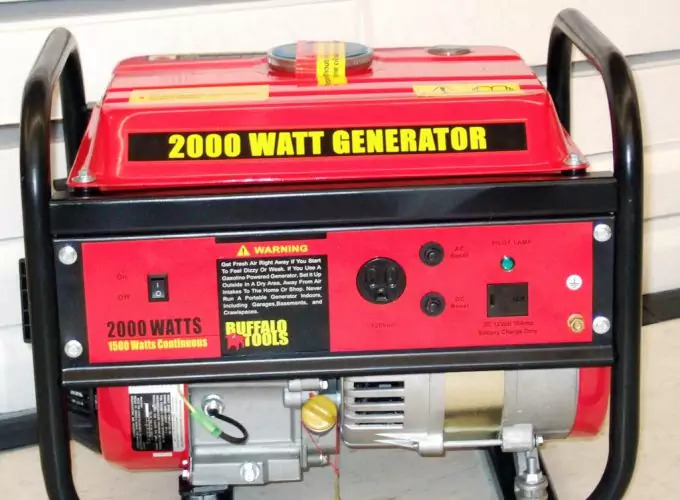 This generator is also a great idea for recreational purposes. Let’s end up this review with some guidance. The best of the 5 above is surely the Briggs & Stratton. They are one of the best manufacturers on the market when it comes to machines, motors, engines, lawnmowers, generators, etc. 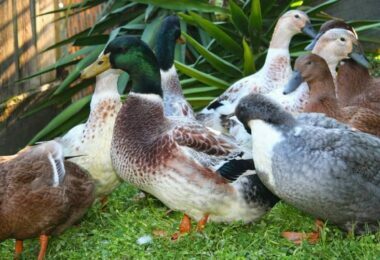 They are established on the market for many years and people trust them, since they provide high quality for the price they set. On the other hand, if you are on a budget you can definitely pick the Champion generator. 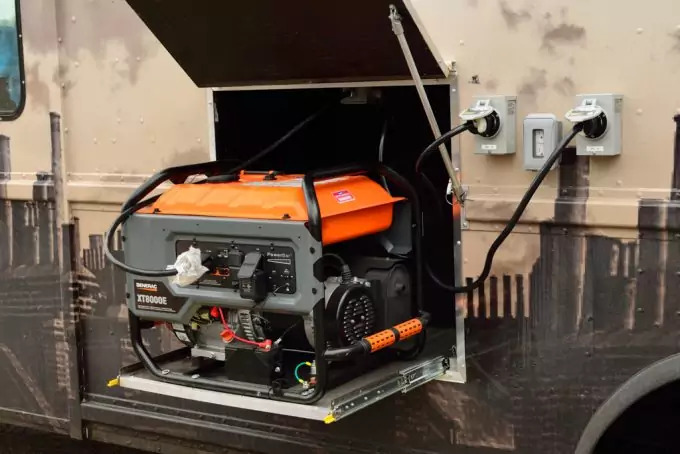 It has long durability, 12 hours on half load (which can compete only with Briggs & Stratton’s generator), has a remote switch and is also portable. Not to mention that it’s half the price of Briggs & Stratton. It’s also popular among campers due to its low weight. It must be stated though that in many websites and online market the DuroStar is a best-seller, so consider that too. The low price and weight are what people go for. It still must be pointed out that if you need power and you want to load the tank less often, then a pricier choice is still much better in the long run. The above reviews were compiled to give you a better understanding of the current portable generators and which may be the best choice for you and your needs. The introduction was to give you a general overview of how generators work, which features you need to be aware of and what to look for when you decide to commit to purchase a generator. Generators are complicated and dangerous machines that need to be used with care and knowledge. You may have to read further in-depth to know what more to look for, how to handle it with more caution, which are the common mistakes most people make, and so on.